Global GoalsCast regularly highlights the importance of educating girls. This episode Co-hosts Edie Lush and Claudia Romo Edelman talk with two remarkable women whose lives dramatize how much difference a woman can make when she is trained in technology. Marieme Jamme, founder of #Iamthecode, tells her story: Sold into prostitution as a teenager in Senegal, she escaped the traffickers, taught herself to read, write and code and ultimately founded the program that intends to teach a million girls to code by 2030. Victoria Alonso Perez grew up in Uruguay dreaming of Mars. Uruguay has no space program but Victoria persisted and became a trained engineer working with small satellites. Now she is using that training to help her country’s ranchers solve their biggest problems — tracking their cattle herds, preventing theft and reducing the carbon footprint of raising beef. Also, Shamina Singh, President of the Center for Inclusive Growth and EVP for Sustainability at our new sponsor, MasterCard, describes Girls4Tech, a program started in 2014 to teach the foundations of STEM to 10 to 13 year olds. Photo Credit: IamtheCODE. Loise Wambui is a young and dynamic leader from Nairobi, Kenya. 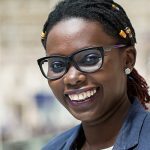 She is currently the Assistant to the CEO of iamtheCODE in Kenya. She is passionate about Climate Change and Environmental conservation and has led successful environmental campaigns that have led to policy change in Kenya. 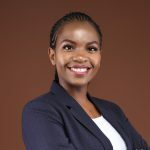 Wambui is also passionate about service to the community and has been involved in the setting up of community libraries, tech hubs and provision of free medical camps in Kenya. Since 2015, Federica has worked at Casarone Agroindustrial SA as the Ranch Administrator. Ranch “San Fernando” Beef production. Departamento de Treinta y Tres. Uruguay Ranch “Rio Branco”, Departamento de Cerro Largo, Uruguay. Ranch that produces rice and beef. Responsibilities: beef production, animal nutrition, pasture management, human resources. Mariéme Jamme is an award-winning Technologist and pioneer in system change, a Young Global Leader of the World Economic Forum. In sept 2017, she won the Innovation Award at the Global Goals Award 2017 by UNICEF and the Bill and Melinda Gates Foundation as a GoalKeeper for her work in advancing the United Nation Sustainable Development Goals, supporting globally young women and girls and governments. A BBC 100 Women nominee, she was named twice on the UK Powerlist 2017 and 2018 of Britain’s 100 most influential people of African and African Caribbean Heritage, Mariéme Jamme is a Senegalese-born British businesswoman and investor in technology. Her consultancy company Spotone Global Solutions helps technology companies to set a foothold in Africa, Europe, the Middle East, and Asia. Victoria is an Electronics, Telecommunication, and Electrical Engineer, entrepreneur, and inventor. In 2012 she invented Chipsafer, a patented platform that can track cattle remotely and autonomously. Thanks to Chipsafer in 2012 she was the winner of the International Telecommunications Union Young Innovators Competition and in 2013 she won the Best Young Inventor Award from the World Intellectual Property Organization (WIPO). In 2014 the Inter-American Development Bank selected Chipsafer as the Most Innovative Startup of Latin America and the Caribbean, and the MIT Technology Review selected me Victoria Innovator of the Year – Argentina & Uruguay. In 2015 Chipsafer got second prize in Chivas Regal Global Competition The Venture and the BBC selected her as one of the 30 female entrepreneurs under 30. In 2017 she was invited to present Chipsafer at the Solutions Summit at United Nations Headquarters in New York during the UN General Assembly and in 2018 the UN selected her as United Nations Young Leader for the Sustainable Development Goals. Shamina Singh is President of the Center for Inclusive Growth and Executive Vice President of Sustainability at Mastercard. In these roles she is responsible for advancing equitable economic growth and inclusion around the world. 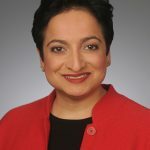 A graduate of the Shamina Singh is President of the Center for Inclusive Growth and Executive Vice President of Sustainability at Mastercard. In these roles she is responsible for advancing equitable economic growth and inclusion around the world. A graduate of the Presidential Leadership Fellows program, an alum of the Young Global Leaders program of the World Economic Forum, a Henry Crown Fellow with the Aspen Institute, she currently sits on the boards of the Beeck Center for Social Impact and Innovation at Georgetown University, Data & Society, and the Global Health Corps. Prior to joining Mastercard, Shamina led Government and Public Affairs for Nike and spent five years with Citi’s Global Community Development Group. Over a 15-year career in the public sector, Shamina has held senior positions in the White House and the U.S. House of Representatives. Elizabeth: 00:03 It doesn’t matter that I’m a refugee, that is only a status. It is never written on my face never written on anything of mine. It is never going to determine my destiny because I’m the one to write my destiny. I write my own story. Mariéme Jamme: 00:15 To invest in these girls, to see them differently. Not just an object of development but see them as women who can actually do something with their life and give them job skills and give them the dignity back. Loise 00:27 We went to my village and we asked the children to draw a computer and they could not even pass on much a computer was. Victoria Alonso Perez: 00:33 I never gave up because my passion for space was so big that I kept pushing. CRE: 00:54 The podcast that explores how can we change the world? EGL: 00:58 This episode, arming girls with the power of technology, but first a shout out to our sponsors. We can’t make the global goals cast without you. MC: 01:11 Later in the episode, we speak with another leading woman in technology. Shamina Singh, president of the Mastercard Center for inclusive growth. You’ll hear her describe how innovation can drive inclusion, which in turn can power societies and economies. Also our thanks to CBS News, digital and to Harmon, the official sound of global goals cast. EGL: 01:38 and I am Edie lush. So Claudia, here’s a test for you – a New Year’s test. What are we all about here at global goals cast? CRE: 01:47 Well, those amazing female voices at the top, said it all. We at the Global GoalsCast are about making sure that you know the world, is making progress, and we highlight the voices of the champions making a difference. In season two, we’re going to focus on inclusion because the world is already diverse and we just have to make sure that we make it inclusive for everyone and bring everyone to the table so that we can achieve an equal world for all. And we are very openly biased towards girls and women. EGL: 02:17 This episode is about opening up a better world for girls by giving them the tools of technology. We’re going to meet some amazing women. How about a Latina space engineer who’s using what she learned from programming satellites to track cows for farmers in Uruguay and keep track of those cows’ carbon emissions. CRE: 02:41 Ah da me la todo mami – meaning I want to hear that. Satellites are awesome. Cows are cool. And the cows in Uruguay, that beef in Uruguay. I spent actually quite some days this holiday trying to herd the cattle in Uruguay. CRE: But it wasn’t always Gates awards and podcast interviews for Mariéme. Mariéme Jamme: 03:36 My country Senegal, in the 1970’s it’s still a very class system. My mother comes from a Oligarch family. And so my mother had us outside her caste so they rejected us as children. So they made us live in a village in complete poverty. At the age of 11 years old I was raped by my teacher. I was trafficked from Senegal when I was 13 years old to France. I was a young prostitute in France.. It wasn’t something I wanted to do. I was under the tube station in France until I got picked up by the French police. My life started really when I was 15 years old. 15 years of my life was taken away from me. it was a very difficult upbringing. I owe a lot to the United Kingdom. That’s where I learned how to read and write properly, educated myself, um, at the local library. I just fell in love with books and fell in love with the library because that was my safe space. I was starting my alphabet when I was 16. The education we take for granted today in Europe and also in the United States, many people who come from marginalized communities and deprived communities don’t have that. EGL: 04:43 Just eight years after learning her ABC’s, she was calling out the biggest names in entertainment. She became an activist after writing an open and critical blog to Bob Geldof and Bono criticizing the way Africa was being portrayed in commercials for live aid. She saw girls like herself in those ads and wondered why they never bothered to speak to anyone that they were showing. While she laughs about the broken English she wrote that blog in now – her point was, why are you speaking for Africa? Why don’t you let Africa speak for itself? Mariéme Jamme: 05:19 The blog was picked up by the guardian and then I got called to come and join the global development community as an advisor, advise on how we can be impartial on African content. I was vocal, but at the same time I had to out of legitimacy to speak for poor people and for young girls and for the poverty in Africa. EGL: 05:37 Mariéme wanted to be more than just a voice and an adviser. She wanted to give more women the ability to speak for themselves, I am the code does just that – bringing girls together to teach life skills like speaking up for what they care about and giving them the technology to do something about it. Mariéme Jamme: 05:56 I wanted to use a skill I actually have and not only emphasize with young girls and women, but also teach them the skills I know, which I know that will be sustainable, will be impactful. And then I just started I am the code and I gave myself a goal to get 1 million women and girls coding by 2030.The first thing we do is we organize hackathons. I am the code is based on the sustainable development goals. So we bring the girls in with the private sector to get in one room to discuss gender equality, climate change and key topics that is affecting our world. EGL: 06:34 When I went to one of her events I saw girls sitting in a safe space, sitting, learning about gender equality, climate change, clean water, quality education, meaningful jobs, menstrual health, gender based violence. They come up with ideas about how they can improve their own lives, their own schools and neighborhoods with technology..
Mariéme Jamme: 06:49 And the second they have digital clubs, so we have our own computer kit is the raspberry Pi based computer. And we have online content and curriculum, which is free. all these girls can use wherever they are in the world, and we open safe spaces for them so they can sit and learn, but also they can do this remotely. You don’t need to know how to code to be part of I am the code everything is self explanatory. Private Sector would like to hire the 100 women Java coders or data analyst or scientists or program managers. We can provide these people as well. EGL: 07:28 She prepares them for jobs for life too, with techniques so that they can make their own choices about healthy eating and caring for their bodies. That was at the heart of her critique of Geldof and Bono. She took them to task for dictating Western ideas. Her goal now is for the girls she teaches to come up with solutions for the problems they face. Mariéme Jamme: 07:51 So many issues that women and girls are facing we don’t have any solutions targeted for women, especially from the marginalized communities, and so I just thought that by teaching them how to code and giving them digital skills, I think that’s, that’s our duty as as technologists. Edie Lush: 08:06 At Mariéme’s I’m the code events. I love seeing how she inspires the girls, but what’s really moving is to see how the girls inspire her. Mariéme Jamme: 08:16 I see myself all the time. I cry a lot when I see them, but I cry in many ways. I cried because now I can help them. Also, I cried that society still failing them in someone is deciding, deciding their life. The system hasn’t changed that much. I can relate to them. I can, I can see exactly the dreams they have, you know, the lack of a lack of opportunities and networks and connections. Loise Wambui: 08:42 The world is a global village, however there are still children who, who’ve never seen something like a computer. So there’s a time we went to my village, back to my village, we were trying to set up a library and we asked the children to draw a computer and they could not even fathom what a computer was. Edie Lush: 09:03 That’s Loise Wambui, assistant to, and protege of Mariéme. She grew up in Miri a small village deep in the mountains of Kenya. She loved reading the Hardy Boys, got straight As through high school and studied mathematics and economics through university. She realised her real passion was for the environment and helping people. Loise Wambui: 09:23 When I joined I Am The Code, I got to meet very many people through Mariéme. I got to meet people who helped me pushing my work forward, so now I get to explore both my strengths my passions. Now I’m able to interact with the young girls and the young women so I’m going to teach them about what is climate change about technology. I have projects in Kibera, in a slum like Madare, Ncorogocho. . These are places that we have gone as I am the Code. Then we reached out to some of the girls who’ve been affected by FGM, which is female genital mutilation. And early marriages. We reached out to the girls in Kakuma which is the refugee camp in Kenya and the girls that are in Kakuma refugee camp. These are girls who cannot leave the camp because they are in the country on refugee status. So for the first time this year, we celebrated the International Day of the girl with them. Loise Wambui: 10:21 Miriam came over to Kenya and we went all the way to Kakuma and we give some computers and they started their coding lessons. Seeing and hearing the big dreams that they have and just interacting with them and getting to see that they have not put themselves in this tiny box that the world puts them in. Their dreams are quite big. It’s very inspiring for me. One girl at a time we are strengthening the community because we involve the communities that we work with in our work. We look for mentors among the people who are in the community. So these girls get to learn from the people that they know. These are people that look like them. There’s something about young black girls from the village, from the slums, even from the town seeing a black woman, who has made it, because then they too know they can make it. Aboll: 11:24 I felt very happy to see Mariéme coming all the way from UK up to here to help us, and I’m so thankful to her also. I like her confidence and how she talks. I also like to be like her in future. Today I’ve learned about the 17 big goals and I’ve also learned about the code. Elizabeth: 11:24 It doesn’t matter that I’m a refugee, that is only a status. But it is never written on my face never written on anything of mine. It will never destroy my destiny, or is never going to determine my destiny because I’m the one to write my destiny. I write my own story. Edie Lush:11:54 Those are some clips of Elizabeth and Aboll. Secondary school students who live in Kakuma refugee camp and these are just some of the girls Mariéme has worked with. I equally could have featured some girls from India, Brazil, China. You can watch those clips in our social media feed. Mariéme herself finds it hard to believe just how far she’s come. Mariéme Jamme: 12:30 I can sit down at the United Nations at 44 years old, but if you asked me 1990s that I’ll do that, that’s not possible. I was a street kid I was on the street eating one meal a day and not having clothes my, my life was in the hands of NGOs and Oxfam and, and, and, and all these SOS villages.So I was wearing old clothes, uh, you know, so now, and I’m here going back to the refugee, campss, uh, you know, helping young women and girls and rather than giving them old clothes, I’m giving them computer kits I’m giving them raspberry pis because I know that is the future. I am not saying there is no poverty in the camp, I’m not saying there’s no poverty in Africa. What I’m trying to do is change the mindset of yes, I need some clothes, but I also need some skills because if I have skills, I can buy more clothes. Mariéme Jamme: 13:22 I am, the code is mobilizing government and private sector and philanthropy foundations to invest in these girls, to see them differently. Not just an object of development but see them as women who can actually do something with their life and give them jobs and skills and give them the dignity back. When a young woman has got money, when she has good skills, when she knows that she’s safe and she can express herself, she’s part of the world and that’s what I’m trying to tell the world by 2030. watch me because I am going to teach 1 million women and girls how to code. EGL: 13:56 and she continues to be a voice for Africa. Mariéme Jamme: 14:00 The African continent is growing and there is still poverty of course, but there is poverty everywhere – in the United States, in the UK where I live. Africans want to change the narrative. Yes, of course we focus on refugees and in the problems that is in Africa, but African poverty is manmade because for many, many years in Africa has been in hand of the global development communities. You know, Africans never had they say in many many ways and now for the, for the last 10 years, the last 15 years, Africans are waking up and creating businesses. They invested in the continent. They’re going back home. A typical example to show how Africa is progressing. In 1994, when Bob Geldof went on stage to scream to the world to help Ethiopia that Ethiopia was dying with famine. That was good because that was the time that he could both educating the westerners to help the Horn of Africa and how to help Ethiopia. . But today Ethiopia in 2018 Ethiopia has 64 percent of the parliament in Ethiopia is women. And they elected the first African president. They’re reducing poverty. If we go to hotels in Addis, it’s unbelievable. So I think that’s the sort of narrative changing to progress. Not to famine. Yes Famine existed, but they overcome famine. Genocide existed in Rwanda, but they overcome genocide. We just need to move forward with, with positivity, but also allow Africans to build their own narratives. CRE: And now is the time for the interview with Shamina Singh. President of the Mastercard Center for inclusive growth. And actually this is very pertinent because one year ago when we launched the Global GoalsCast, we did it at Shamina’s dinner in Davos. So it is fantastic to have you here. Shamina Singh: I’m delighted to be here. 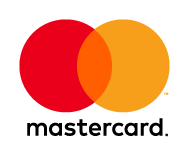 CRE: The center of inclusive growth, which now literally is the DNA of mastercard. Why do you see financial inclusion for women to be such a critical topic? Shamina Singh: 16:30 It’s just a thrill to be here with the both of you having this conversation. I feel like it’s been one we’ve been having for years and to actualize it during this podcast is really delightful. So thank you both for having me here. The idea of financial independence, economic empowerment and control over finance is a cornerstone of how anyone can make it or break it in this world. Unfortunately, what we found is that women have been left out of that process on a scale that is not only hurting families and communities, but it’s hurting economies. What’s more important is it’s actually lost opportunity and I think it’s why it’s important. It’s actually part of the sustainable development goals because as we all know, if you realize the economic potential of women, the world transforms and transforms in a way that achieves growth for everybody. EGL: 17:27 We heard Shamina from Mariéme Jamme, whom I know you know about I am the code. She’s a fellow young global leader. Tell us about mastercard’s girls for tech. Shamina Singh: 17:36 Yes. Mariéme is a very good friend and she’s doing incredible work and I think with people like her and with the girls for Tech Program that actually Mastercard launched in 2014. Again, we’re going to create a new set of actors in the technology space that heretofore just haven’t been there unless we make sure that women and girls have access to the learning to the tools, to the education that’s required to not only succeed in this new economy but actually shape the new economy. We won’t realize the potential of what’s possible. So girls for tech is about creating future problem solvers. That’s how we see girls in the future and right now, so we have to make sure that the stem principles are shared equally and we have a goal actually to reach 200,000 girls by 2020. We’re halfway there in 25 countries. Because we’re a global company with network all over the world – we’re in 210 markets. When you’re a company like mastercard who has reached everywhere – ubiquitous, you have an opportunity to reach everyone everywhere. EGL: 18:48 Welcome back to global GoalsCast Claudia. You have another amazing woman to introduce us to. CRE: Yes, Edie. She is an Ambassador from our partner One Young World – we caught up with her on a cattle ranch in her home country of Uruguay where I happened to spent my holidays this year. Victoria Alonso Perez: 19:09 Hi, my name is Victoria Alonzo Perez and I am the founder of Chipsafer. I am an electronics and telecommunications engineer, but I used to work with small satellites and I love space. When I was four years old my Dad, who is an accountant, he was writing numbers on a piece of paper and I asked him what was the use of those numbers. So he took me to the window and it was a full moon day. So he pointed to the window and he told me that humans had been there thanks to the appropriate combination of those numbers. So from that day I knew that I wanted to work in aerospace for sure. Growing up, most people told me that I will never be able to have an aerospace career. Um, in school my classmates, would tease me all the time. In Uruguay we have no aerospace industry so for me to be at 10 years old telling my classmates that I wanted to be an aerospace engineer and work at NASA, that it was something really, really strange for Uruguay because now we have internet and we have social media, so things are a bit closer, but back then NASA seemed to really, really far away from Uruguay. Victoria Alonso Perez: 20:28 When I was 10 years old, my parents, they could fortunately take us to Disney World. And since we were in Disney World in Orlando, my dad knew that I loved space. So for an entire day we went to NASA, so we did the whole NASA tour of Kennedy Space Center and that was unbelievable for me. I mean, I couldn’t believe where I was. but still that it was very far away. Victoria Alonso Perez: 20:52 When I was 14 I started a project on, on how to colonize Mars. I presented it at the science fair and then I kept working on it. And when I was 21, I got this grant to present the project at the International Astronautical Congress. And that opened me so many doors. I mean, there I met everyone. I was even chair of Space Generation Advisory Council that is an organization is supportive of the United Nations Program on space applications. I was chair of Space Generation Advisory Council. And through that, every year we do a congress that is called the Space Generation Congress. And every year we invite the NASA administrator, and when I was Chair we invited Charles Bolden, who also is a former astronaut. And he gave me an autographed book thanking me for the Organization of the Congress. So, so yeah, it was a very big journey going from that kid that everybody told will never get to be working at NASA. I never gave up because my passion for space was so big that I kept pushing and I think that’s my biggest advice is that if you have a passion for something, don’t give up. You will only succeed if you’re doing what you love. Victoria Alonso Perez: 22:05 Farming I knew a lot because I am Uruguayan and our main source of export in Uruguay is livestock. My country depends a lot on it. and I realized that the technology that I was using I could actually use it to impact the rural sector of my country. 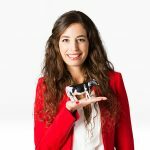 Victoria Alonso Perez: 22:26 Chip Safer is a platform that can track and detect anomalies in cattle behavior remotely and autonomously. The animal wears a self recharging device that transmits information about it to our company server for processing and analysis. So the farmer can know at all times where the animals are – also get warnings if an animal goes beyond the specified perimeter which is very important for cattle theft. They most amount of requests that we get from farmers is because of cattle theft. EGL: Claudia I’d say rancher. What would you say? CRE: 22:58 I would say … ranchera. But whatever we decide her title is, here is the woman in charge of the 6000 head of cattle on the ranch Cassarone four and half hours outside Montevideo Uruguay. Fedyrica is currently testing the Chipsafer technology. Fedyrica:23:28 Here we are having a problem with – they steal our cows. and now we’re trying to eliminate this problem. Putting a Gps in each cow to identify each of them. CRE:23:40 I asked Fedricaa what she did before Chipsafer. Fedyrica: 23:44 We do the same that all the farmers here do. every day we look at them and try to count them. But sometimes it’s not possible. Now in this farm we have 6,000 cows. It’s a big farm. We always know how many cows we have. The thing is perhaps one day they can kill us one cow and we, we don’t know where. With this we can have an alarms in our telephone that tell us where is that cow. The GPS send an alarm when the cow is out of the fencing. We can call, for example the police also there is another company, it’s a company that received that alarm and the company will call the police. CRE: 24:39 Chipsaver tracks each cow individually, sending data and even alarms to Fedyrica’s phone. it’s much faster and more reliable than a rider on a horse. But that doesn’t mean horses or rancheras are being put out of work. Fedyrica: 24:54 Every day we have people that ride a horse. Everything is with a, with a horse. Technology is probably useful for us but never replace the horse and the work of the person. CRE:25:08 So human, horse and technology will work together to protect the herd.. But Ultimately, this technology will do a lot more than just stop thieves, As victoria explains. 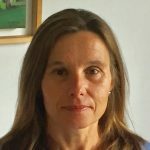 Victoria Alonso Perez:25:20 By monitoring the animals at all times you can get better statistics and better manage your herd. Also in terms of environment for example by knowing the exact location of the animals, we can tell you that the animals have not been raised in endangered areas such as the Amazon rain forests. We envisage a future where you can go and buy a piece of meat and you can know exactly where the animal was raised ensuring it was not having a negative impact on the environment. Victoria Alonso Perez: 26:09 So the problem that I saw was very similar. it’s in a very remote location of course in space and it has to, to be transmitting and receiving information while recharging by itself. And it also needs to have the position, you know, the position of where the, the satellite is and that is actually the same problem that you have when tracking livestock because livestock is in very remote locations. Especially in Latin America, farms are very big so the animals can be in very big expanses of land. So I needed a device that the animals could wear and that would recharge itself while sending and receiving information. In 2017 we did pilots in seven countries in four continents. And after those pilots we tested the technology which we showed that it worked. And then this year we focused entirely on the mass production. Now we are focusing mainly on Latin America even though we’re having requests from other parts of the world too. So we are having a mass production and we expect to have next year a minimum of 10,000. CRE: 27:17 Ultimately, victorious is helping to solve two major challenges. The first one is we need more food with less carbon emission. Livestock is a major source of greenhouse gas more than the steel and concrete industries put together, but the amount of greenhouse gas can be managed – even reabsorbed into the soil. If the rancher or ranchera has enough information. Victoria Alonso Perez: 27:43 We have active traceability of animals so we can tell you where the animals have been at all times, making sure that the animals were not in any endangered areas. For example, the Amazon rainforest, but also if we can tell the amount of animals that there were per farm, we can also tell you how much the, the environmental impact was of the animal because the gases that the animals release, they can get reabsorbed by the soil, if the soil is not degradated. So that’s another thing that we’re working on, is on monitoring soil degradation in order to tell you if all the gases are getting re-absorbed by by the soil. Our main market is the beef markets that is in very big extensions of land. So it’s beef that’s been raised where the soil can reabsorb all the emissions. With better management you can use much better use of resources. So I think that technology is bringing this agriculture 2.0 – in which more in which people are being way more efficient in taking care of the environment. Because what we need in order to feed the growing population, we need more food but we need more food conscience, you know, that we’re not damaging the environment. So that’s how technology can really, really impact the world and really impact biodiversity. CRE: 29:11 She designs satellites, she’s helping farmers, making more food for the world while protecting the enviornment…so we asked Fredyrica what is it like to work with Victoria? EGL: 29:53 So what did she say there Claudia? EGL: That’s it? You’re the one who has trillions of words. We had like 30 seconds from her and that’s all I’m getting. – she’s awesome? CRE: Pretty much. That’s actually the summary. She’s awesome and she’s one of many women working on bringing technology to agriculture. People that I know that we have mentioned in previous episodes like Marianna Vasconcelos from Agrismart. There’s an incredible set of young women that are working on agriculture through technology. EGL: People like the folks we heard who using the Maano app, not even the people who’ve invented them, but people who are using that technology to then bring others in their community around them. People like Charity in the new Lusaka market. People like Mainner Chabota that we featured in the episode on food who are using that technology using the Maano technology that Ebay for agriculture to bring others in their community to the table. Claudia we always highlight three facts that you can use to impress your mother in law. This episode, those facts are going to be presented to us by our friend and colleague, Anjali from the Nevertheless podcast. Anjali Ramachandran: 31:08 Hi Edie. Thanks very much for having me. My name is Anjali Ramachandran and I’m an Executive Producer of Nevertheless podcast, which we produce at Storythings `for Pearson, Nevertheless is a podcast about the women changing teaching and learning through technology. I’m also a co-founder of Ada’s list, which is a global community for women and those who identify as women working in technology with over 6,000 members at the moment, and I’m really happy to be talking about the three facts for your podcast.The first one is that 88.5% of aerospace engineers are male. The second one is that the percentage of women in software engineering or web development roles in 2018 was 16 percent only. In 2014 that was 14 percent. It’s just a two percent increase. Not going fast enough in my opinion.And the third fact is that 60% of the FTSE250 companies have less than 25% representation of women on their boards. CRE: 32:12 Here’s a bonus fact. Cattle ranching is a major source of the gases that warm the climate. Come back in 10 years and we will tell you how much Chipsafer has helped create new techniques to curb that. EGL: And we’re also going to give you three actions that you can take if you care about these issues and you want to do more. The first two come from Anjali of Nevertheless podcast. Anjali Ramachandran: 32:39 The first action I think that all of you can take is to listen to Nevertheless, which you can download wherever you listen to your podcast app and nevertheless podcast dot com. Our last episode or second last episode actually was about diversity and inclusion in the workplace in technology specifically where I spoke to a couple of really interesting women working in the field. The second action I would like for all of you to take is that if you’re in a hiring position, if you’re a manager or an owner of a company, try and make sure that you short list at least one woman and one person of color for the roles that you’re hiring for. Edie Lush: 33:17 And the third comes from Mariéme Jamme. Mariéme Jamme: 33:19 We need volunteers, we need mentors to mentor the girls. We need to spread the word. I think what you guys are doing and what Edie has been doing from the beginning is giving us a platform. We need a platform to go and tell the world that these young woman exist. We need the private sector to hire them. They’re extremely amazing young women. Let’s see them as technologists of the future. CRE: 33:46 Edie this is a fascinating start for our season two. I love that we are jumping straight into the we are all human main theory, which is that the world is already diverse. You don’t have to invent diversity. We’re making incredible progress on that front, but we might have to make it more inclusive so that people can bring their best selves to whatever they are doing and do the best for the world and so that we can achieve equity. So these episode for me shows that including women through technology is the way in which you can improve the world and also the fact that there are so many women involved in agriculture which is so important for the world and you’re adding the third element which is technology is amazing. I am increasingly and personally more interested in making sure that agriculture on the world and the lives of farmers is improved and better. I actually, Edie, just took an ambassador role to represent rancheras in Latin America. They are getting more sophisticated, not only in technology but also in the way that they want to be perceived and represented and they are asking people like me to go and speak out in platforms in different settings about the needs and about the pride and about their contributions. EGL:35:38 who hadn’t had it before. Improving their lives and bringing more people to the table. CRE: Yeah, and you know what I found fascinating – just recently. I was talking about the sustainable development goals with someone on you know, how vested that I am in this. I mean like that was my job before I was part of the conception of them. But I never realized that inclusion is the one goal that corporations cannot say they have nothing to do and be involved with. If you think about it, corporations in everywhere around the world, the private sector could say, I have a say in climate change if that’s what they’re doing with water or I have something to do with below the water and under the water and so on. But at the end of the day when everybody has employees and everybody has human capital, they have to work in diversity and inclusion, so I love that this season is going to give corporations and all of our friends calls to action and activities and actions that they can be taken because inclusion is the one global goal that we can all pursue. EGL: Can I give one geeky thing that I really liked about this episode? CRE: And did want to be an astronaut? EGL: I did. My mom is actually in the studio room as I’m recording right now and she can testify that I did want to be an astronaut. CRE: I cannot conceive you with like a loose dress with all of your very tight trousers. EGL: 37:52 What do you mean? Like with the bubble over my head. I could totally rock the bubble. EGL: And we are going to remind you to follow us on social media @globalgoalscast . Lke subscribe, download, rate us. CRE: Your recommendation does matter. So do it. We’re doing this to improve the state of the world. You can do your part in rating us so that we can keep on doing that. CRE: And I’m Claudia Romo Edelman. Thank you for being with us today. Good bye. CRE: 38:40 And now is the time for the second half of our interview with Shamina Singh, President of the Mastercard Center for inclusive growth and explore how innovation can drive inclusion, which in turn can power societies and economies. EGL 38:59 Shamina in our last episode, we met a fellow from the World Food Program who created an Ebay for farmers and you’ve got something not dissimilar, the mastercard farmer’s network. Tell us about that. Shamina Singh: We really dug deep and said, okay, we are a technology company focused on payments. What’s our role in making sure that small holder farmers have access to market. What we developed is something called a mastercard farmer’s network, which really focuses on this idea that when you are going to market, you actually have to take your tomatoes or your potatoes or your lettuce and you have to take it off the land, put it in a cart, drive two days sometimes to a marketplace and then sell what’s still fresh and however much you can sell, you can’t negotiate back and forth. For Women, this is particularly hard. Think about the safety and the kids and the family. Shamina Singh: 39:54 It’s very difficult for them to leave their land and to go negotiate prices for their produce, so oftentimes they have to send it with an intermediary and the intermediary goes, comes back and they give them what they give them and you know it may be the full amount, it may be something. It may be able to last them next cycle. Who knows? What technology allows us to do is to say, look, everybody pretty much has a feature Phone, may not be a smartphone, but you have a feature phone, so why not empower the market place to say, I’m going to send out an order to this network and I can take quantities from different people and you can bid on the quantities that you can provide in the time you tell me how much, how soon, and how far. This allows women to negotiate from their farm to say, okay, here comes the order. Here’s what I have, here’s what I can produce, here’s when I can send it, and then the money comes directly to the woman. That simple tool, allows more women than ever before to negotiate on behalf of themselves for their own economic independence. That’s power and that’s the type of solutions that we’re trying to think about as we think about farmers, as we think about technologists, as we think about entrepreneurs, small business owners, all of the places that unrealized productivity is holding us back and we’re trying to push ourselves forward. Shamina Singh:Thanks for having me. Michelle Cooprider: Music in this episode was by Andrew Philips, Angelica Garcia, Simon James, Katie Crone, Amy Edwards, Ashish Pillowall ,Alex Vallejo and Ellis. This episode was made possible thanks to the support of Mastercard, CBS News digital, and Harmon, the official sound of global goals cast. This episode would not have been possible without Keith Reynolds, founder and president of spoke media who lent us his ear.